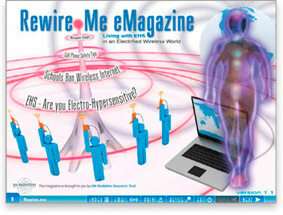 Rewire Me is an interactive rich-media PDF eMagazine that focuses on the world of electro-magnetic radiation that we experience in our daily lives. Learn the practical and preventative methods to protect you and your family from its harmful effects. 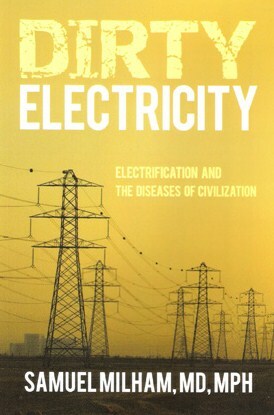 Links are provided to videos, audio, virtual reality and scientific journals dealing with the subject of EMF. 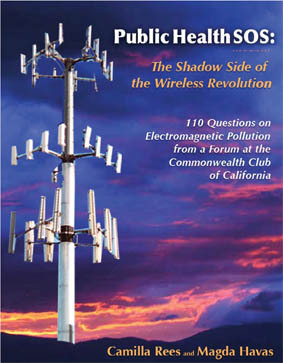 Download Public health SOS - The Shadow side of the wireless revolution. Not sleeping well, headaches, dizziness, tingling in the hands, ringing in the ears, electro-sensitivity, low immunity, or cardiac symptoms? 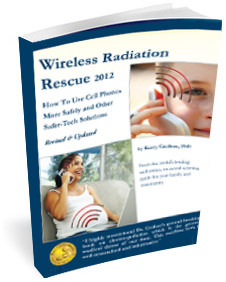 Wireless Radiation Rescue reveals how these and other conditions can result from exposure to radiation from cell phones, cordless phones, wireless Internet access and other devices we use every day.